Toll-Free (833)BSR-PREP (1-833-277-7737) > Are you Ready For SHTF? The TR-590 Emergency Two-Way Radio Is! Are you Ready For SHTF? The TR-590 Emergency Two-Way Radio Is! For some, it’s almost a conflict of conscience spending any time thinking about a SHTF (S#it Hits The Fan) situation, but borrowing from our slogan and the common intuition of careful thinkers everywhere, it’s always prudent to be “Better Safe Than Sorry!” To that end, we’re happy to introduce our latest custom pre-programmed radio offering, the TERA TR-590 emergency radio. It’s the ultimate survivalist prepper SHTF two-way radio! Utilizing the same solid commercial-grade build quality and ease of use that has made the TERA TR-505 GMRS/MURS radio so popular for recreational and local safety/emergency use, the TR-590 makes for the perfect handheld in times of every day emergencies, natural disasters, civil unrest, or even U.S. elections! With an IP54 Dust & Water (splash) Resistance rating, True Dual Receive, Front Panel Programming & VFO Mode, 3 Tx Power Levels, Scanning and everything else you would expect in a compact, affordable Part 90 commercial radio, this signature BSR ReadySafeGo™ offering comes charged, programmed and tested so you can use it right out of the box. Some customers have programmed this radio for SHTF, packed with just about every emergency frequency you can think of that individual preppers, survivalists, businesses, government, public service agencies and organizations like CERT, Neighborhood Watch, ARES & RACES use during emergencies. While not “type-accepted” for some of these bands (as is the case with all prepper/SHTF radios), it has been used with all the standard VHF/UHF services, such as GMRS, FRS, MURS, LMR (land mobile/business), MMS (marine), WX (NOAA “All-Hazards” Weather), CAP (civil air patrol), HAM (amateur radio), PMR446 (UK/Euro FRS) and 20 FM Broadcast Radio Stations. The Part 90 TR-590 is only FCC certified for use on the LMR band. Special Rx-only emergency service frequencies include FEMA, USCG, FIRE Inter-Department, LAW Intersystem, Urban S&R, VLAW, CALAW, USNG, USMIL, USICE, USFED Law, USG Civil Agencies, NIRS Cache, NIFC, USDOS, and the ISS (International Space Station Ham Downlink), adding a vast array of sources for information and intel to your BOB (bug-out bag). The customer-submitted TR-590-SHTF channel programming chart PDF can be downloaded on the TR-590 product page. Don’t need all of these bands and just want the basic emergency frequencies or want something totally custom? We can custom program the 590 for you! The TR-590 is compatible with all the great TERA 500-Series Accessories, including a battery case, nylon radio case, extra battery packs, 12V battery eliminator (cigarette lighter adapter), speaker mics, covert earpieces, external antennas and cloning/programming cables. 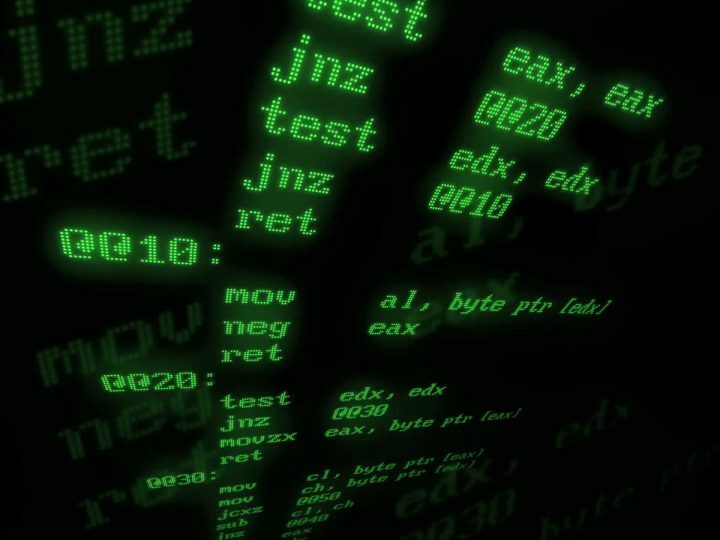 As well, free programming (or advanced premium) software is available for access to internal settings not available in the front panel LCD/Keypad menu system. Each radio comes with a lithium-ion battery, desk charger, dual-band flexible whip antenna, sturdy belt clip w/ screws, user manual & wrist strap. The TR-590 also makes for a great Ham HT (handle-talkie), with advanced features like PL Tone Scanning, VFO Tuning, Repeater Offset, Keypad Lock, Single or Dual Receive and even Split-Band Channel programming. Narrow-Band compliance is also provided for commercial and public service Land Mobile users, and a handy built-in flashlight (with optional flashing alarm mode) comes standard. Check out the TR-590 and be prepared! You Work Hard - Save 10% on Two TERAs - Labor Day SALE! 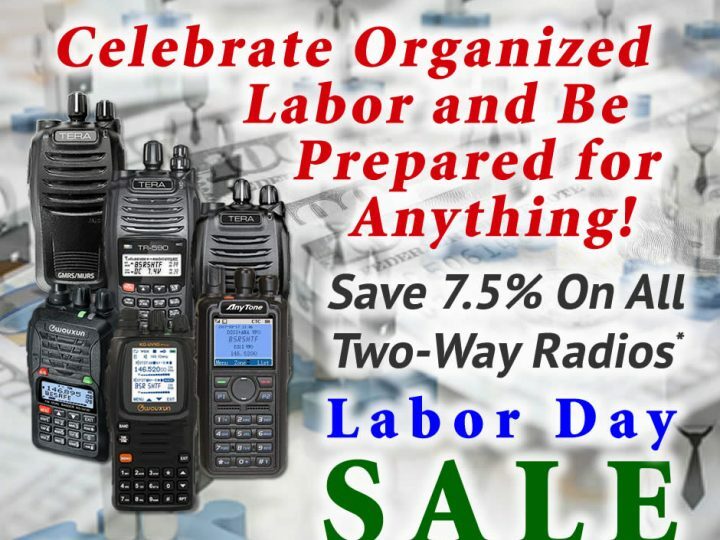 Celebrate Labor – Save 7.5% on All Two-Way Radios – Labor Day SALE! 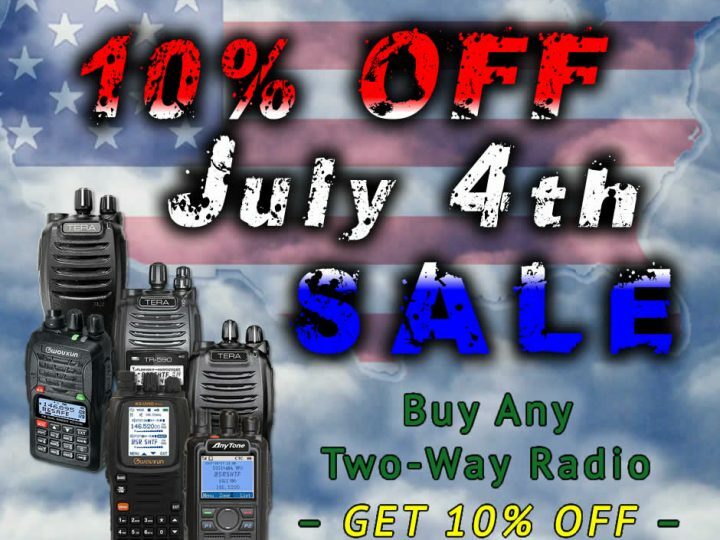 Celebrate Independence and Save 10% on All Emergency Two-Way Radios! 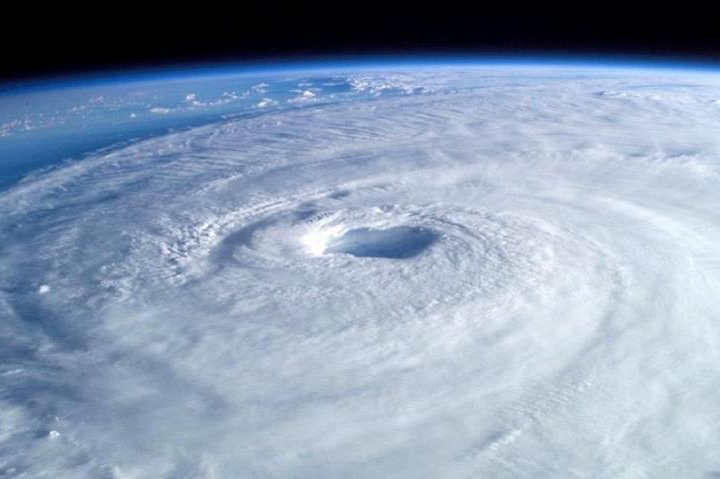 Hurricane Season is Coming and 2018 Could Be Worse Than 2017!